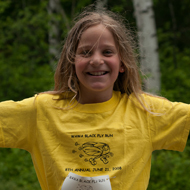 The 2019 Black Fly Run will be held Saturday, June 15th! 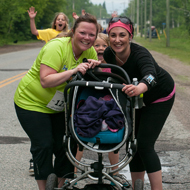 The Wawa Black Fly Half Marathon, 10k & 5K features beautiful courses and great prizes. 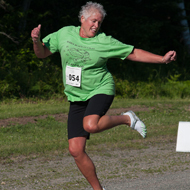 The Half Marathon tours interesting and historic spots, the Helen Mine Monument; Dr. Rose’s Beach and William Teddy Shores where gold was first found in Wawa. One landmark you’ll run by is the Drill Rig, a monument erected to symbolize Wawa’s mining history. The Half Marathon and 10k Run continues along Highway 101 which hugs the rugged shoreline of Wawa Lake. The route takes you out and back, so you will return along the same scenic route you ran out on. Afterwards, you can enjoy wonderful refreshments of fresh fruit and delicious cookies until our prize presentations take place. There are cash awards for the Half Marathon and 10k winners. After the designated prizes are handed out, there are random prizes. Nearly everyone goes home a winner! 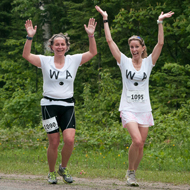 Past participants of the Wawa Black Fly Run have told us this is one of the most organized and most scenic races in the north with the best prizes!